Nothing stands in the way of THE BOSS. So there’s a reason the Power-V features a half-inch thick, patented high-performance cutting edge made of Hardox that delivers extended wear resistance compared to conventional cutting edges. In addition, the baked on powder-coat paint has an exclusive zinc primer for corrosion resistance and super protection. 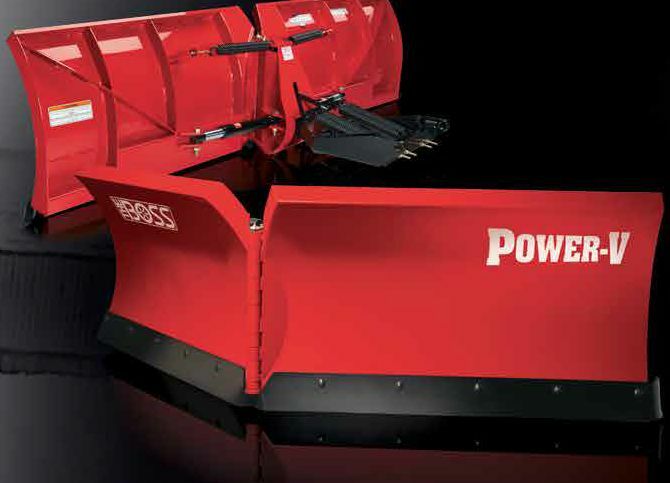 The Power-V has durability and dependability, making it an outstanding value for snow removal.